For nearly two years a nasty dispute has pitted neighbors against one another in a small town. It deals with a fence and so much more. 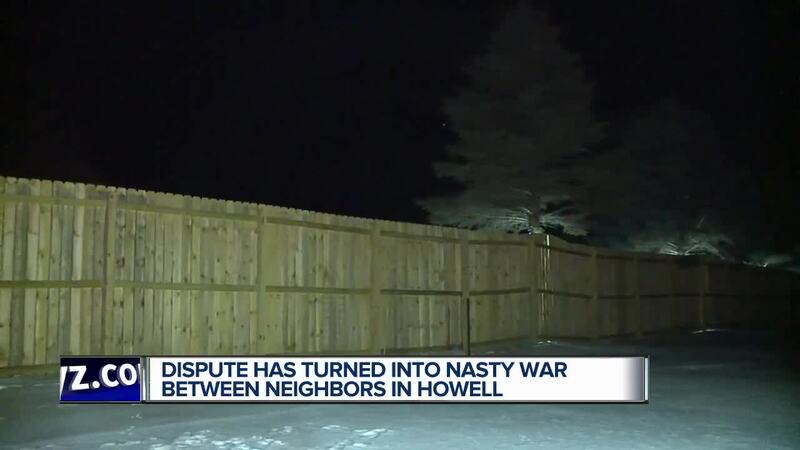 MARION TOWNSHIP, Mich. (WXYZ) — For nearly two years a nasty dispute has pitted neighbors against one another in a small town. It deals with a fence and so much more. 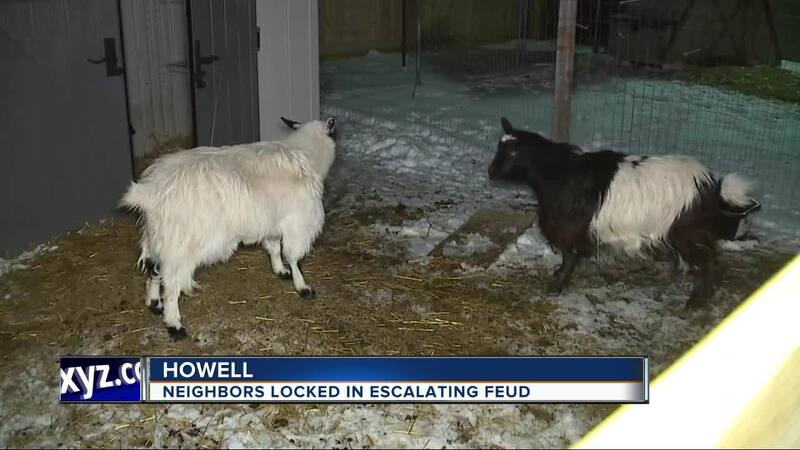 Felkins says when his chickens and goats first wandered next door, he never dreamed it would lead to a nightmare for him and his wife Amber. “She has Animal Control come out then and wanted to sue me as well,” he says. Soon after feathers were ruffled the Felkins say a huge wooden fence went up off Pingree Road in Marion Township. There are also bright Christmas lights Casey swears keep him up at night. Its spiraled well beyond a war of words with neighbor Janet Godfrey, who’s also telling her side of things. Janet says the Felkins’ animals relieve themselves in her yard and she’s afraid of Casey, a retired Marine who shoots target practice and has a military flag that says 'don’t “F” with me'. “At that point I was saying I can’t live like this,” Godfey says. Janet says she’s not egging on her neighbors, but won’t turn off the lights either. Sheriff’s deputies, animal control and the township are fielding complaints that seem to be endless. While Janet isn’t planning to leave, she says she’s come close to flying the coop more than once. “I have literally left my home on 3 occasions being afraid of him,” she says. Sadly, both sides don’t see how this can end with cooperation and peace. That’s why attorneys on both sides continue to have their hands full.